Kano is Nigeria’s second largest city and the biggest in the northern half of the country. Traditionally a PDP stronghold, since its governor Rabiu Musa Kwankwaso decamped to the All Progressives Congress the ruling party has been struggling to make inroads in the state. The result of council polls announced on the 18th of May saw the APC sweeping all the votes in the 44 local councils. And it is results like this that have made the PDP court former governor of Kano State and ex-presidential flag bearer Ibrahim Shekarau to try to combat the frenzied following enjoyed by Kwankwaso. Down in the country’s South West the political scene is abuzz with the upcoming elections in Ekiti and Ondo States – the party’s first major test. The incumbent APC gubernatorial candidates in two states have been involved in a fierce campaign to outshine their PDP co-contenders. Since the merger of the Congress for Progressive Change (CPC) and Action Congress of Nigeria (ACN), the PDP behemoth – in power since 1999 – has come to the realisation that the APC is very nearly its equal. Initially, displaying its characteristic surefootedness, the PDP sent a congratulatory message to the APC on its registration as a political party, before noting in the same message that the new opposition party was in no way a threat to its electoral chances. This was, however, before the events of November 25th, 2013. On this date, now over 6 months ago, five governors decamped from the ruling PDP and joined the APC camp. In Nigeria’s often fratricidal political space this was a remarkable development, it then led to the announcement that 49 legislators would join the 137 other members in the APC, giving them a slim majority in the Nigerian House of Representatives. The merger also brought together two powerful personalities; General Muhammadu Buhari (three times opposition presidential contender) and Bola Tinubu, erstwhile governor of Lagos State and the head of the South Western regional bloc that includes the cities of Lagos and Ibadan. The merger of the political parties and these personalities has without any gainsaying added a new verve to the political spectrum in Nigeria. Also amongst its ranks is Atiku Abubakar, Nigeria’s former Vice President during the government of General Olusegun Obasanjo, Nasir Elrufai former Minister of the Federal Capital Territory, who is largely credited with reforming the capital city, and wealthy businessman Fola Adeola. The party has also proved to be attractive for tech savvy, vibrant and idealistic young Turks like Rinsola Abiola, Ismaila Bashir and Seun Eggheader Odewale. No doubt the party is also the coveted bride for upwardly mobile young Nigerians in the Diaspora. One such member, Feyi Fawehinmi, recently took the initiative via the “˜For the Future’ online portal to test the pulse of the voting public by asking people on social media to select their preferred Presidential flag bearers for the party. Within hours the polling platform became the main point of discussion on Nigerian social media platforms. Unsurprisingly, Muhammadu Buhari came out on top, but the revealing feature was not the result but the high level of participation in such an exercise. The APC has clearly caught the imagination. The merger has also elicited a reaction from PDP stalwarts, which isn’t particularly surprising given the antagonistic traditions of Nigeria’s political space. The party’s spokesman, Olisa Metuh, drew the wrath of APC members when he described its manifesto as a “Janjaweed ideology” that could lead Nigeria to anarchy –drawing parallels with the Dafuri Militia. He also made further allusions that the party was familiar with those behind the Boko Haram campaign of violence focused on the north of the country. Not even the threat of legal action has been able to alter the war of words that continues in the polity. Party chieftain Bola Tinubu came under fire for saying that anyone who rigged the results of the forthcoming elections in Ekiti and Osun States would be “roasted”. In a country familiar with severe post-electoral violence this phrase was somewhat reckless. There have also been murmurs over the possibility that the party might field a Muslim-Muslim ticket. Given Nigeria’s multi-diversity, this is seen as the first step to alienating non-Muslim voters and subsequently wasting the chance of electoral success the merger has created. Potentially even more serious is the snail’s pace at which they have moved in presenting a clear picture of who the presidential flag bearer will be with just nine months before the elections. Whichever way it goes, Nigeria’s politicians all understand that the stakes are perhaps higher than ever before. Whoever emerges winner of next year’s general election will have to contend with a population caught in an extended period of discontent exacerbated by poverty and insecurity. 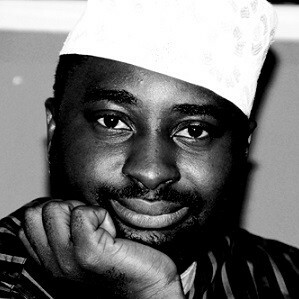 Alkasim Abdulkadir is an international freelance journalist and editor at www.citizensplatform.net (alkasim.abdulkadir@gmail.com). This article was commissioned via the African Journalism Fund.